Ax, Other CD & Sound Bank from 9 Soundware. 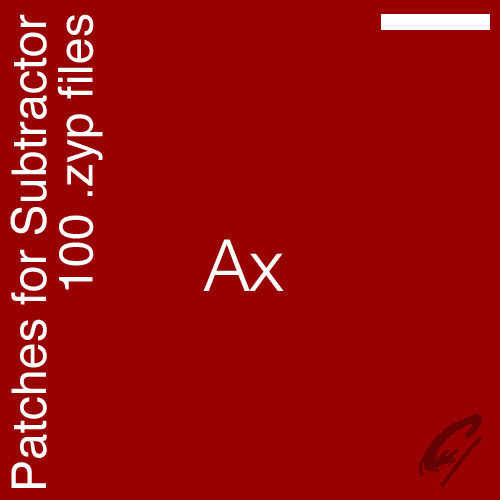 Ax is a set of patches for the Subtractor synthesizer within Propellerhead Reason. The collection showcases the Reason Device which echoes the classic designs of analog synthesizers and fuses them with features ubiquitous in modern instruments. The sound set is divided into 6 categories. 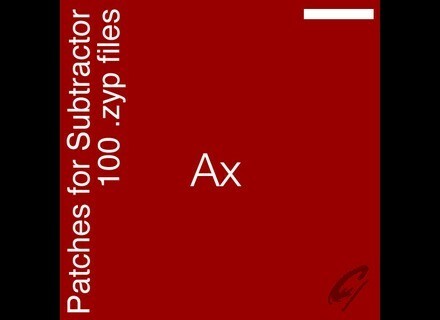 “Bass”, “Lead”, “Pad”, and “Piano” (one-shot, tonal sounds) each contain 10 patches, “Drums” consists of 30 patches which cover all drum kit components, and “Inharmonic” is comprised of 30 patches which are further divided into two subcategories “Sustaining” and “Non-sustaining”. The 0.4 MB download includes 100 .zyp files. Ax is available now for $24.99 at www.9soundware.com. Platinumloops Releases ‘Orchestral Pop V1 ' Orchestral Pop Volume 1 gives you modern orchestral loops to suit a wide range of production needs. Platinumloops Releases ‘Hip Hop Vocals v1 Sample Pack' Featuring the voices of 8 different vocal artists with styles ranging from soulful accapella's, gangsta rap, crunk, club, RnB and everything in between. Detunized.com Launches the Reason and FL Studio Line 10 new Refills and Directwave Banks available.